I wouldn’t ordinarily do a show with a fan, but Hayes is no ordinary fan. Or man. At 90-plus, he’s an inspiration with his positive outlook. What was it he said? “You get to loving life so much, you hate to leave life.” He’s built that kind of life by the way he’s treated people, and he’s been rewarded. 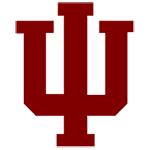 Hayes, as you hear here, was such an IU basketball fan that he hitch-hiked to games. Road games. Once, the team bus picked him up along the way, and from that point on he was practically part of the program. Maybe a little too much a part of it for the tastes of the NCAA, but no trouble came of his involvement and he made a lot of friends. I first heard of him regarding the favor he did for Walt Bellamy before Bellamy’s last game at IU. When I heard Hayes was still alive, I had to go see him. We recorded this one in the showroom of his car dealership in Bloomington. It’s really more of a museum, because the walls are lined with photos of sports celebrities Hayes has met. Even Purdue coaches, such as Gene Keady have befriended him. He’ll be friends with anyone. He’s a relic of a bygone era, and worth knowing. 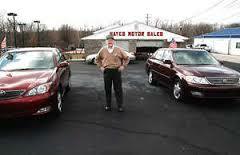 If you’re ever in Bloomington and happen to drive by Hayes Auto Sales, stop in. He’d be happy to meet you.